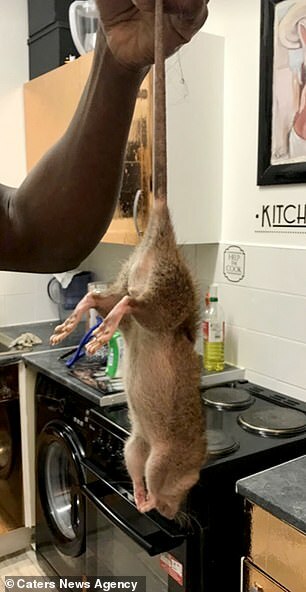 A disabled woman has released a horrifying image of rats ‘the size of dogs’ she claims are infesting her council house. 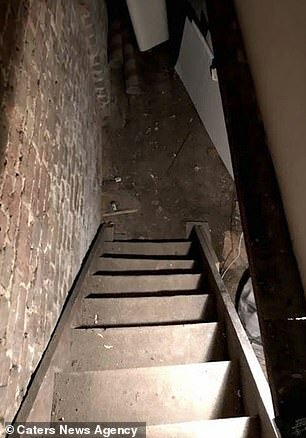 Asia White, 37, claims she has been bitten by the 20-inch rodents, ingested their urine and found droppings in her food during the six month ‘living nightmare’ at her home in Lambeth, London. 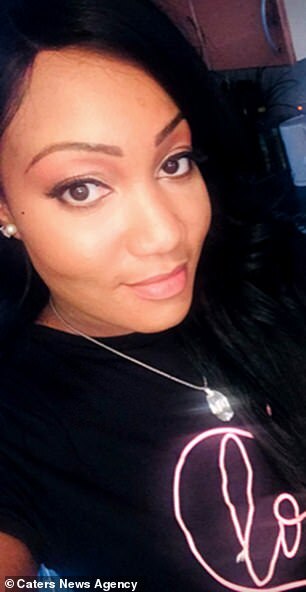 The former high-end retail manager, who suffers with mental and physical disabilities, claims the conditions have seen her health rapidly deteriorate to the point she has even been hospitalised last month. 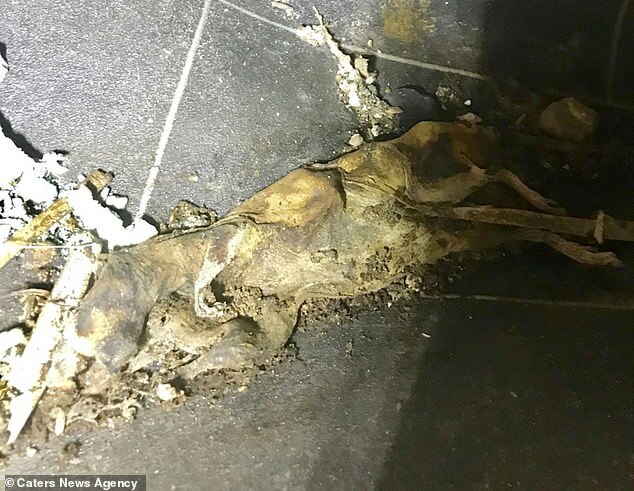 She alleges housing association Peabody has put down poison to kill the rats but then not returned to remove it – leaving the animals’ decomposing corpses in her basement. Ms White said: ‘The rats are disgusting, I would say they’re the size of a dog, or a large cat. ‘We caught a 20-inch rodent, only because an even bigger one was too fast for us and escaped. It’s got me to a point where I’m going crazy. Ms White, who lives alone, claims the torment has left her feeling suicidal and exacerbated her existing health issues. She has lived in the council house since April 2018, and alleges she first saw droppings and urine around the house when she moved in. After a month of living there she claims she heard loud squeaks and witnessed rats running around her bedroom and attempting to bite her. 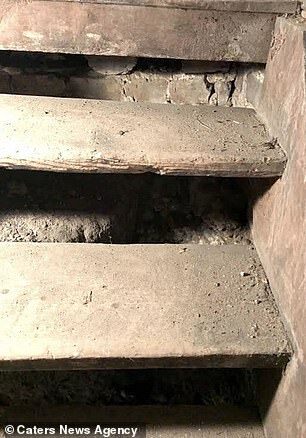 Ms White said while Peabody have laid down poison they have not permanently close the entry point for the rodents, which is located through the basement. The registered charity have sent contractors out to fix the issue but Ms White claims their contractors were forced to leave because the working conditions in her home were too poor. Ms White said: ‘I’m constantly being sick, the smell of the rats is unavoidable. ‘One night I woke up so stressed that I couldn’t feel half of my body. My stools have been green, I’ve been having breakdowns. ‘The impact this house and the fear of living here has left me suicidal at times. Tina Valcarcel, Lambeth’s Larkhall ward councillor, got involved after Ms White was rushed to hospital in November. She said: ‘I have been helping the resident of my ward with her housing issues for a number of months, in my role as a local councillor. ‘We have made progress, but there’s still a long way to go. I’m determined to continue working on her behalf until these issues are resolved. A Peabody spokesperson said: ‘We’re really sorry about the distress this has caused Ms White. Our contractors have been back again and again to try and get rid of the pests, which are an increasing problem in London. ‘Unfortunately, because of drainage issues, the problem was worse than we originally thought. We have helped Ms White to move out, and are keeping in touch with her and the council to continue to support her.